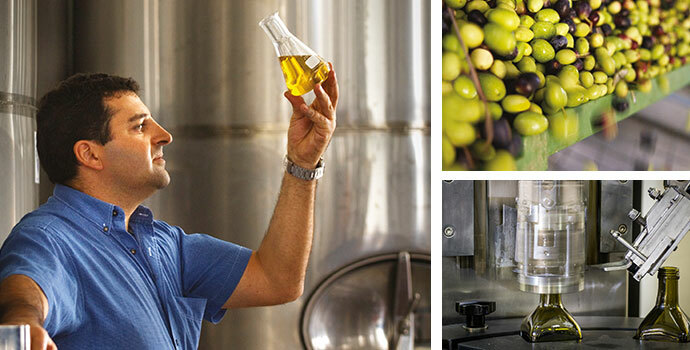 Using proven techniques to deliver outstanding quality, Diana Olive Oil is offered via its own self-labelled products and for other customer brands, across Australia and overseas. By controlling the complete cycle from planting, harvesting, and processing through to packaging and labelling, these customers can be confident that their olive oil has been produced to the most rigorous standards, managed in a controlled and carefully co-ordinated system. These quality controls include the maintenance of hygienically clean production equipment to minimise oxidisation. Olive growers from around the region also utilise the skills, experience and facilities at Diana Olive Oil to maximise the results they get from their own crop. From the range of Advisory Services to the extraction, storage, bottling and labelling facilities, the benefits of utilising Diana Diana Olive Oil as a reliable and cost effective resource are well known. In keeping with these standards Diana Olive Oil has the endorsement from SGS Australia for a certified food safety procedure, and the Australian Olive Oil Association code of practice certification.